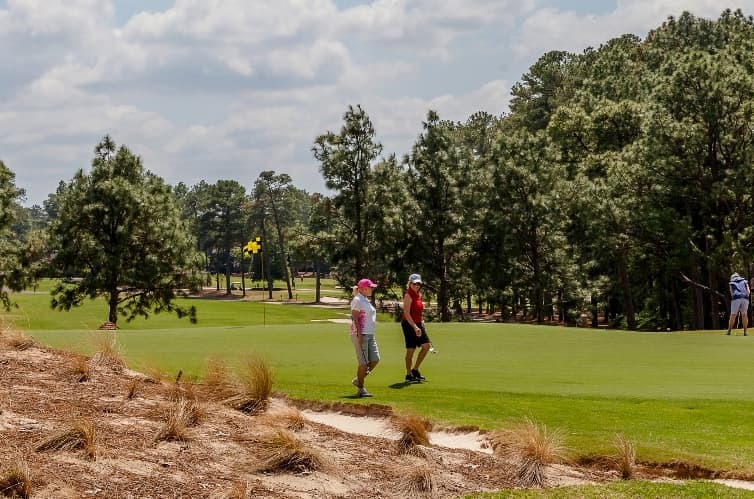 Check out the video above, where Golf.com succinctly goes through a recent study on intermediate targets by the Pinehurst Golf Academy’s Eric Alpenfels. Not much unlike his studies on the “Aim Small, Miss Small” philosophy, Alpenfels – along with his research partner Dr. Bob Christina – found that what most golfers have been doing all along when it comes to their aim may be way off base. Golfers who looked only at an intermediate target – instead of a distant target, like the green or fairway – just a few inches in front of the ball, hit their shots a lot more accurately and with more power. Check it out, and try it the next time you play.